As CMA celebrates the 5th year of Wonderball, we talked to a few of the performers and members of the planning committee who have been involved since the event’s inception. 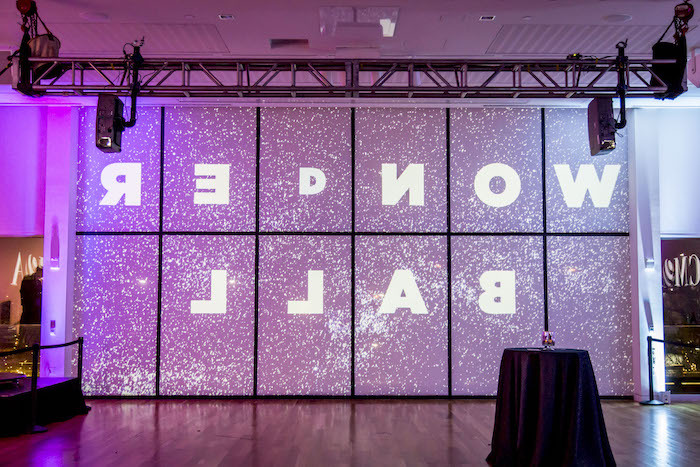 The men behind Pacemour Creative – Donnie Mossman and Charles Erickson – have acted as Wonderball’s in-house DJ team, adding impressive visual artwork to the blank canvas of CMA’s Schottenstein Property Group Pavilion. 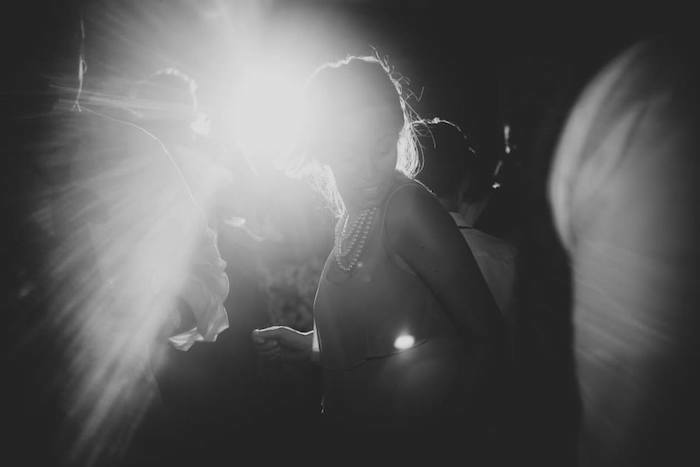 They embody Wonderball at its heart and have helped elevate the experience year over year. Serving on the event planning and marketing committee, Ann Mulvany has helped grow Wonderball into what it is today, sharing the event throughout Columbus, attracting new attendees and talent. Donnie Mossman (DM): Being an artist for a living, art moves me in the sense that it is the reason I get up and go to work. Creating art is something I’m constantly preoccupied with throughout the day. On the other side, as a consumer of art, I think the art that really moves me, tends to hit me in the gut, and the pieces that really stick with me are the ones that evoke an involuntary physical/emotional response, whether it’s a song or a painting or an animated video loop. Charles Erickson (CE): Art moves me because… it actually moves me. I go places and do things for the sake of art — both to create art as well as to experience the art of others. While human connections may give my life the most meaning, it is art that enables and enhances these connections through jointly experiencing art. Therefore, by extension, art moves me because it makes everything in my life more meaningful. Ann Mulvany (AM): Art connects me with parts of myself and the world that I don’t often experience or give as much attention. It’s so easy to fall into our own habits and routines — especially for those of us in less creative professions — and we get rooted further and further into those spaces instead of exploring new and different things. Whether it’s street graffiti, classical ballet, or a perfectly formed snowflake, art is a force that pushes me out of my day-to-day and makes me think and feel differently, even if just for a moment. What about Wonderball keeps you coming back for more? DM: I love the atmosphere of creativity around the event and everyone working together to top the previous Wonderballs. Plus, there is always a lot of problem solving for me, which I love. Figuring out solutions for the tricky parts of projection mapping installations is something I really enjoy and it’s very satisfying when it all comes to life the night of the party. I also appreciate the museum being so supportive of all the crazy ideas we’ve done over the past 5 years. CE: Wonderball is special to me as it was my first significant large-scale collaboration with Donnie as a digital artist. 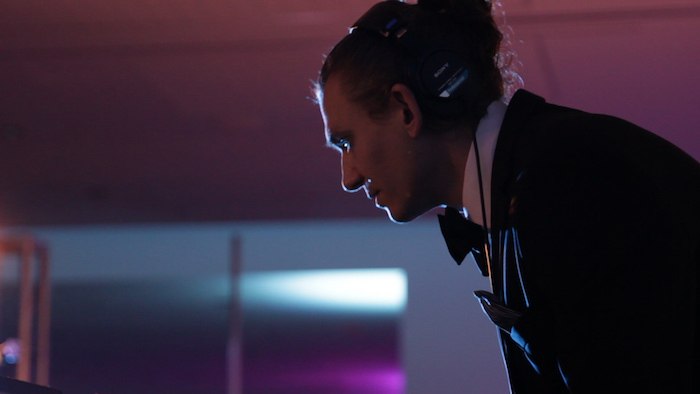 I had previously recruited him to assist me with providing visuals at various social events. 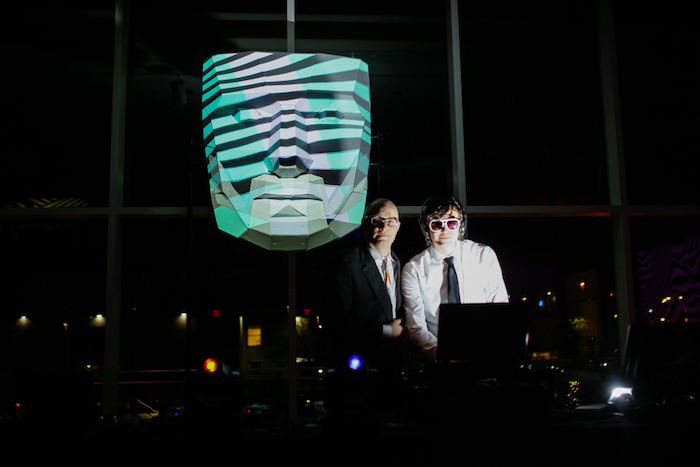 When the staff reached out to me about being the featured DJ for the first year of Wonderball, I immediately suggested we additionally contribute projected visuals to the event and brought Donnie along for the ride. After that, our partnership solidified, with me talking our way into things and his immense talent proving why we were supposed to be there. Now, 5 years later, Donnie and I have finally branded our mutual creative work under the name Pacemour Creative. Wonderball is something that allows us to express ourselves creatively — much more so than the majority of our professional/ corporate work. Do you have a favorite Wonderball memory? DM: I think the 2018 projection mapping in the windows of the event space was my favorite memory, it was a really difficult but rewarding challenge. Seeing the performers and the guests at Wonderball enjoying it and playing in the light form the projections really made me happy. CE: I am very proud of the 3D face and the mapped windows, as those were both far more complex offerings than the earlier work… but I keep going back to the feeling we had following the first year. Between the stage projections and the “wonder mirror,” we vastly exceeded expectations. With so many people posting images featuring our visuals on Instagram and Facebook, we were a large part in making that first event truly memorable. It was the moment we knew we’d be a part of Wonderball in the future and that we, as a team, were really on the path to something great. I’m still very thankful for that initial opportunity. AM: Zane Miller’s two-way protocols at last year’s Wonderball was definitely one of my all-time favorites. LISTEN: to the Wonderball on Spotify list created by DJs Donnie and Charles. (Top and bottom photos by Nathan Ward). – Bethany Cramer is marketing director for Zipline Logistics and three-year member of the CMA Wonderball marketing committee. She is an ambassador for creativity in Columbus, a life-long learner, yogi, and SUNY Geneseo alumna.